Another early MMA star is featured in Fighting Insider's 'MMA Hall of Fame' this week. Know more about Antonio Inoki at the article below. Born as Kanji Inoki on February 20, 1943, Antonio Inoki was known as the founder of Kansuiryu Karate, and former owner of New Japan Pro Wrestling before selling his controlling shares in the promotion to Yukes. He came from an affluent family in Yokohama, Japan. Being the second youngest of the seven boys and four girls, Antonio Inoki learned Karate from his older brother while in 6th grade. Then during the post-war years, the Inoki family fell on hard times. 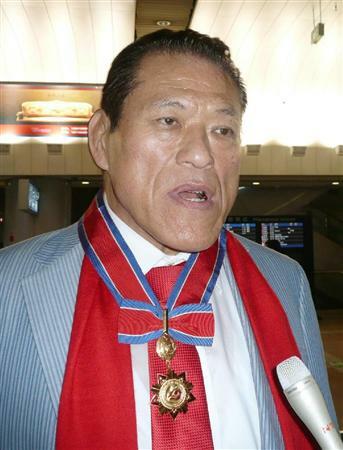 In 1957, Antonio Inoki – together with his mother, siblings and grandfather – emigrated to Brazil. At the age of 17, Antonio Inoki met Rikidozan and went back to Japan as his disciple for the Japanese Wrestling Association. When Rikidozan died, he worked under his much taller dojo classmate, Giant Baba, until he joined the original Tokyo Pro Wrestling in 1966. In late 1971, he was fired from the Japanese Wrestling Association in an attempt to over take the promotion. Hence, Antonio Inoki founded the New Japan Pro Wrestling in 1972. During his MMA career, Antonio Inoki was one of the professional wrestlers who were taught the art of hooking and shooting by Karl Gotch. He then went on to stage a couple of MMA matches against champions of various martial art disciplines. In addition to this, he also organized MMA events like NPJW Ultimate Crush and Jungle Fight. The events showcase traditional professional wrestling and MMA matches on the same card. Eventually, his retirement from professional wrestling came while staging the Final Countdown series that ran from 1994 to 1998. The Final Countdown relieves Antonio Inoki’s MMA matches under professional wrestling rules, as well as rematch of some of his well-known wrestling bouts. * = Antonio Inoki’s Heavyweight Championship was not official recognized by WWE.